In addition we have specific programmes which we offer through local nursery, primary, secondary and specialist schools. We also give financial support to a number of children (usually around 30) to assist them through secondary and specialist education. 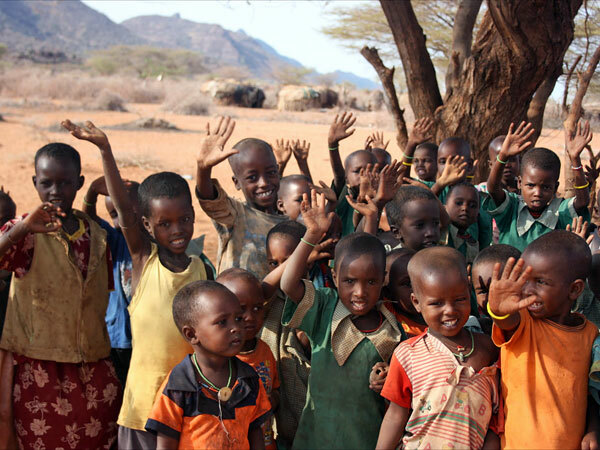 Kindfund’s first ever activity in Kenya was to finance a nursery school at Ngaremara. Over time it has become incorporated into our children’s home, providing two classrooms which open up into a small hall as well as an office, store and kitchen. 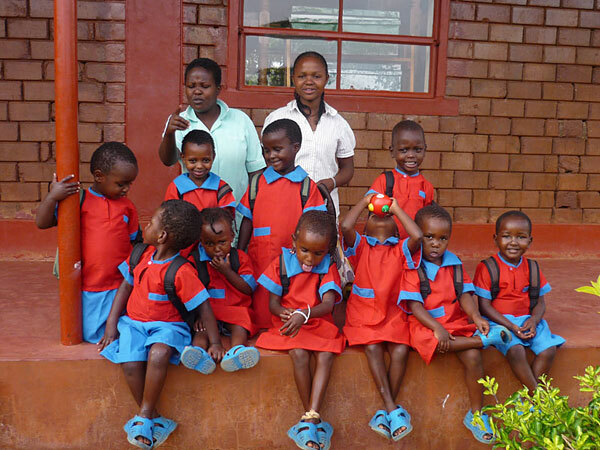 The nursery currently has a roll of 45 children, who come from across the community. Typically children will spend up to three years at nursery school before graduating to primary school, at around six years old. Why do we support nursery education? To bring young children from traditional villages into the education system early and improve their opportunity to succeed in later life. The 3+ age group are the most at risk during times of famine. So, day-to-day we provide them with morning porridge, and by registering the nursery school with the local primary school we ensure they receive relief food in the form of a main meal. To nurture them in a Christian environment. Using this model, since 2004 we have started 15 such nursery schools and today are directly involved with 5, supporting around 250 children. 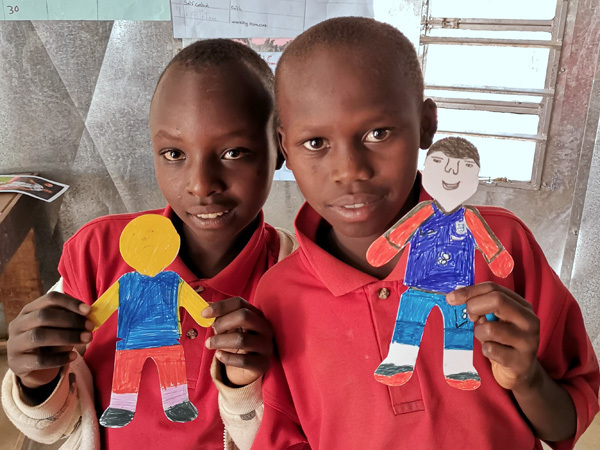 Until 2011 Kindfund’s involvement with primary education was mainly aimed at supporting the reduction in class sizes (some of which can have over 100 children), through financing classroom assistants at primary schools attended by our children. In late 2015 spurred on by the teachers strike we sent four of our Class 7 children from Ngaremara and Wamba to a private school in Wamba. In early 2016 as we considered the very positive impact of this decision on the children and weighed it against the diminished opportunity for the children attending the Government Schools where most are in classes of over 100 children we decided to send all our class one to four children at Wamba to the private school after negotiating a competitive package with the owners. In May 2016 we decided to launch our own private school for all our children at Wamba and Ngaremara. As we already had the facilities in the homes we kept capital costs to a minimum. The ratio of teachers to children will be 1:14 which contrasts with 1:100 plus in the local Government schools. In 2011 as we founded the temporary children’s home in the village of Ndikir, we learned that since the nearest primary school was some 12 kms away from the village of 1000 people, very few children went to school. 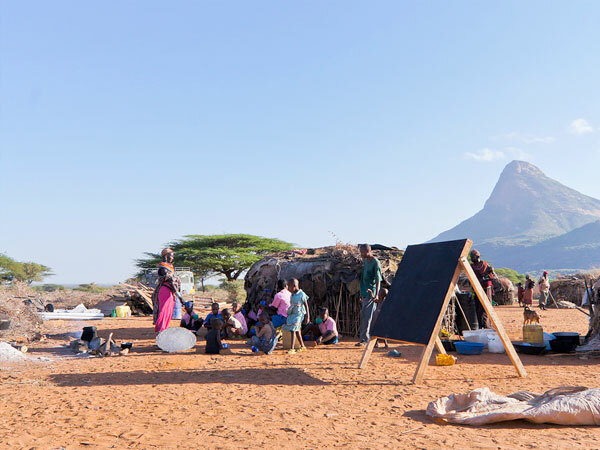 We were drawn to meet this need and as a result set up classrooms housed, Samburu-style, in temporary accommodation. 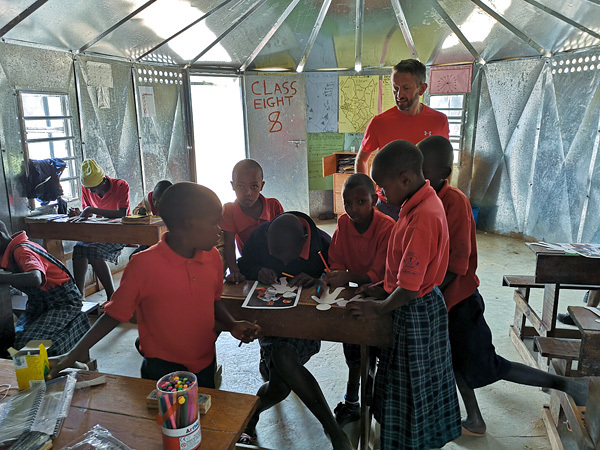 In 2014 we built a permanent classroom which now accommodates the Standard 2 upwards Primary age children with the Primary 1 and Nursery children in one of the recently erected steel structures. 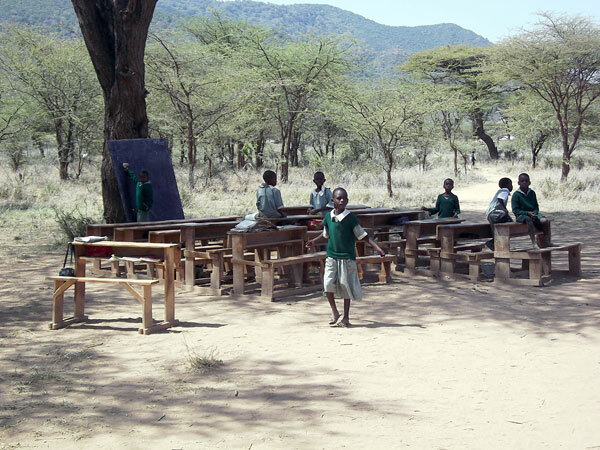 Currently we have 25 children being taught in the permanent classroom with 10 three seater desks. The classes are well-equipped with books and materials. 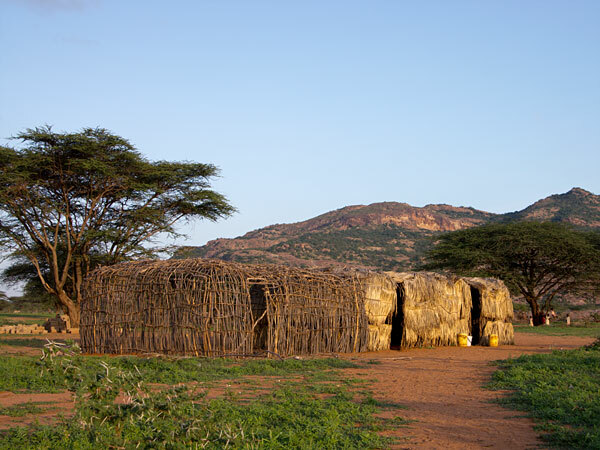 The County at Marsabit and the Ward Administrator at Laisamis have granted us ten acres for the further development of the school. In 2007 the persistence of a young girl and her mother at Ngaremara eventually led us into secondary school sponsorship. 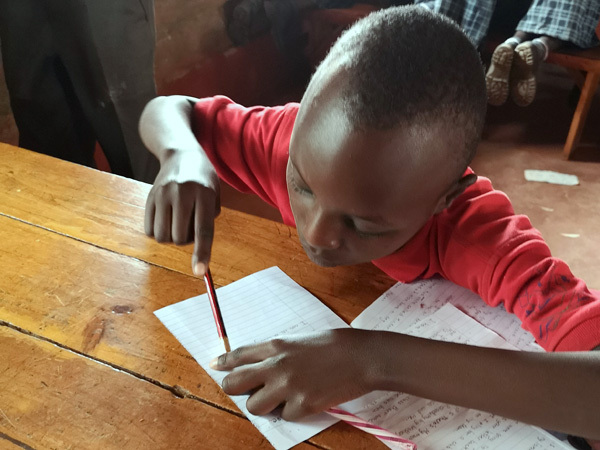 We initially supported the creation of a secondary school at Ngaremara, providing them with a hand pump for the well, items for their science laboratory and two classroom assistants. We support Isiolo School for the Hearing Impaired and have been awarded their Certificate of Appreciation. 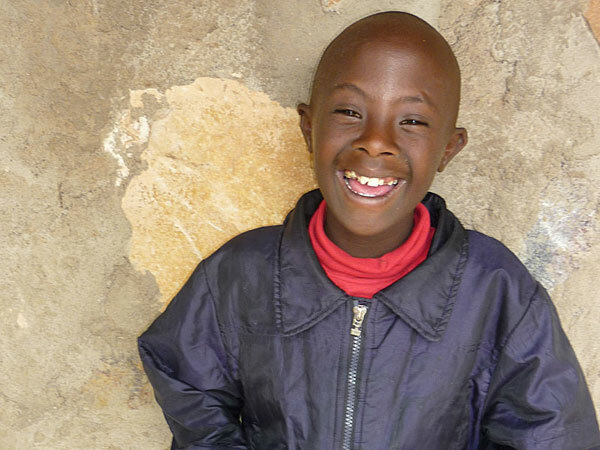 In 2007 we began sponsoring children with hearing impairment through the school. In 2017 we are supporting eight children in this way. The children all come from poor backgrounds in very rural situations. 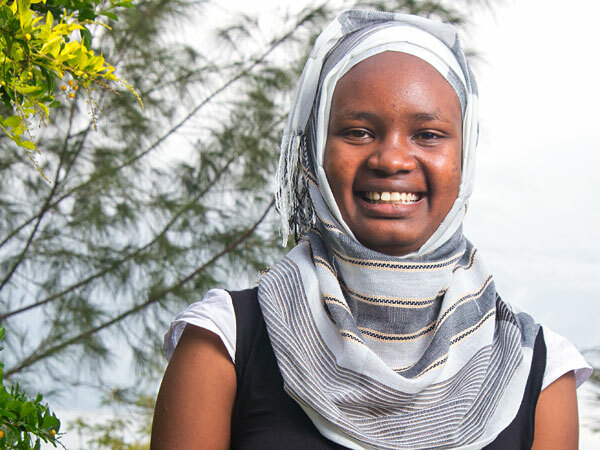 Without Kindfund support they would have few opportunities for social contact and little hope of receiving an education. In 2009 when Sperrin Hospital Trust in Northern Ireland was upgrading it’s hearing diagnostics equipment, we were generously offered an audiometer, which the British Army kindly air freighted out to Kenya. The audiometer is regularly used to assess the children’s hearing. 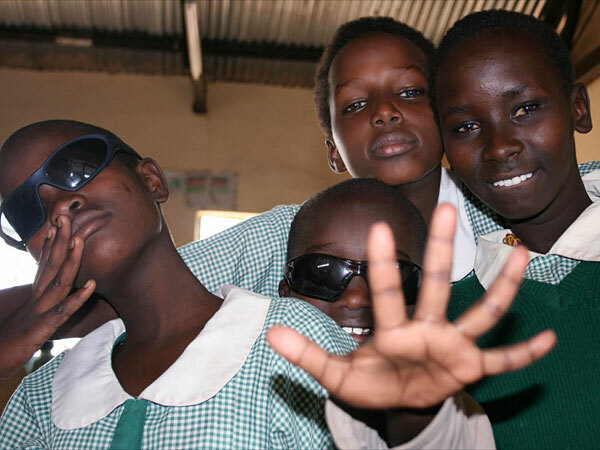 Kambi ya Juu Primary School in Isiolo supports an integrated education programme for children with impaired vision who live in a special home on an adjacent site. Kindfund provides food and other supplies to the home, which in 2017 has 25 children.